Disability services vary by community, city and state. While national attention is paid to the overall effectiveness and support of the Social Security Disability Insurance (SSDI) program, there are other operations at a local and state level that may be beneficial to individuals with physical, intellectual developmental disabilities. 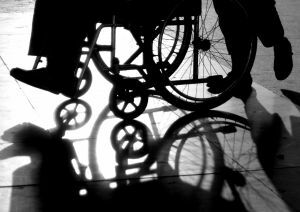 According to a recent analysis of disability services throughout the 50 states, Massachusetts ranks in the top 10. Services for the disabled may include access to support networks, promoting independence and productivity, ensuring quality and safe lifestyles for individuals with disabilities, and protecting the well-being of individuals and families. Our Boston SSDI attorneys are dedicated to helping individuals collect their rightful disability coverage in the event of illness, disease, an accident, or other form of disability. We understand the struggles faced by disabled persons and their families and will pursue every available option to ensure the collection of timely benefits. Services focused on specific disabilities: Massachusetts has a wide network of resources with focuses specifically on individual challenges, including services for the blind, deaf, autism, physical and intellectual disabilities. Prevention of abuse and neglect: Individuals with cognitive or physical disabilities may be at risk of abuse or neglect. There are services available to help prevent and report abuse or neglect in Massachusetts. Medical and rehabilitative technologies: In addition to seeking appropriate medical care and coverage, there are also services available to help individuals with disabilities seek and access rehabilitative treatment and technologies. Local disability community advocacy: Local and state advocacy groups focus on ensuring disability rights, protections, and ensuring that businesses are in compliance with the American Disabilities Act. Individuals can seek out these resources to report violations, initiate programs and protect their rights. Housing and living support: The state offers services to help individuals with intellectual or physical disabilities seek necessary housing and living support. Every individual faces unique challenges and has different needs. These support services range from finding in-home care and support, group homes, and exploring other living options to meet the needs of Massachusetts residents. Long-term care needs: In addition to living support, individuals may need access to long-term care. Obtaining financial support through Social Security Disability Insurance is one option to secure benefits for long-term care needs. Training, education, and vocational rehabilitation: Young disabled persons and adults may be able to train for certain positions that meet their abilities and qualifications. Massachusetts offers services to ensure that individuals with intellectual or physical impairments are able to access proper training, education and seek vocational rehabilitation. Transportation access: A primary issue for individuals with disabilities is access to transportation. Individuals with disabilities may rely on public transportation or community support. Massachusetts has services available to help individuals with disabilities seek safe transport.